Established in 2008, Penyet & BBQ aims to bring the “real penyet cuisine” to local diners. It takes pride in serving up an array of authentic Indonesian penyet specialties at its eight outlets islandwide including Food Republic City Square. Using only kampong chicken, the star of the Ayam Penyet dish boasts tender and juicy meat that is first marinated with several aromatic herbs and spices. Then, it is penyet (smashed) with a heavy wooden hammer – to loosen and tenderize the meat – after being deep-fried to golden brown. The dish is accompanied with scrumptious savory sides such as fried tempeh (fermented soybean cake), fried beancurd, crackling golden batter bits, Penyet & BBQ’s homemade chili sambal, boiled vegetables and a bowl of steamed rice. Dapur Padang (Padang Kitchen) is owned by Mrs Wahyuningsilh. Their sister outlet, called Padang Padang, is located at ION’s Food Opera. Recipes here are inspired by the owner’s grandmother – a third generation Peranakan from Indonesia. 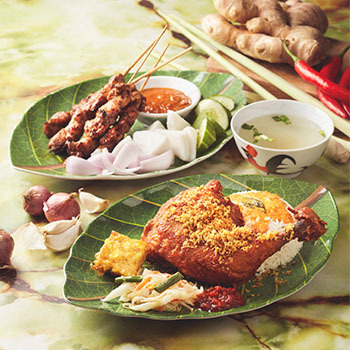 Padang cuisine is the traditional food of ‘Urang Minang’ (Minang people) who inhabits West Sumatra, Indonesia, and retains its original taste and health benefits. Customers have to look out for their new Gulai Mutton which joins their large menu offerings. The key to this cuisine’s rich flavour and mouth-watering aroma is the correct blend of spices. They are committed to using only natural ingredients and traditional recipes for all their dishes. 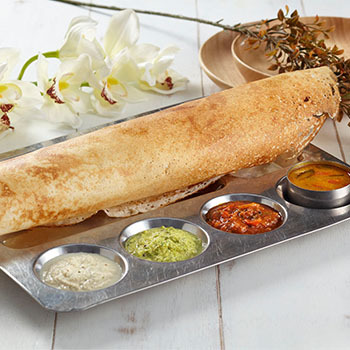 Specializing in fine Indian vegetarian cuisine, the stall sells quick North Indian lunches, and of special mention that are unique to its stall are – Paper Roast Dosa and Channa Bhatura. This is its 4th outpost in Singapore, and they deem themselves to be important in serving its many faithful Indian customers who work as professionals in the city area. They provide a synergy of taste & quality in their amazingly lip-smacking Indian Vegetarian cuisine, and claim to serve about 200,000 customers across the island. Slurp on traditional Lassi, Mango Lassi for the adventurous, and Buttermilk while you chow on the delicious grub. 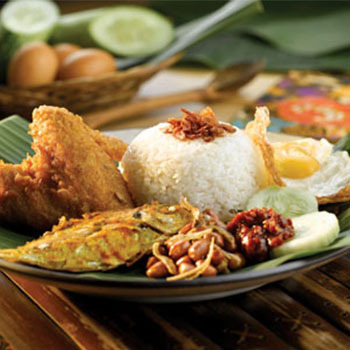 Padang cuisine is the traditional food of ‘Urang Minang’ (Minang people) who inhabit West Sumatera, Indonesia. 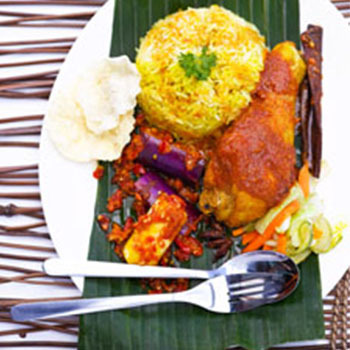 The key to Padang cuisine’s rich flavour and mouth-watering aroma is the correct blend of spices. Padang Padang is owned by Mrs Wahyuningsilh and the recipes are inspired by her grandmother – a 3rd generation Peranakan in Indonesia. At Padang Padang, they are committed to using only natural ingredients and processing them traditionally to retain their original taste and health benefits.